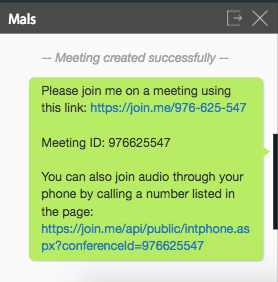 With HappyFox Chat-join.me integration, an agent can create a join.me meeting invite using a single command during an ongoing chat conversation. Note: This app integration is available in Mighty and above plans. 2. 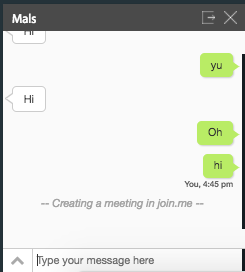 Go to Apps > Remote Support > choose join.me. 3. Click Install > Click Connect button. 4. 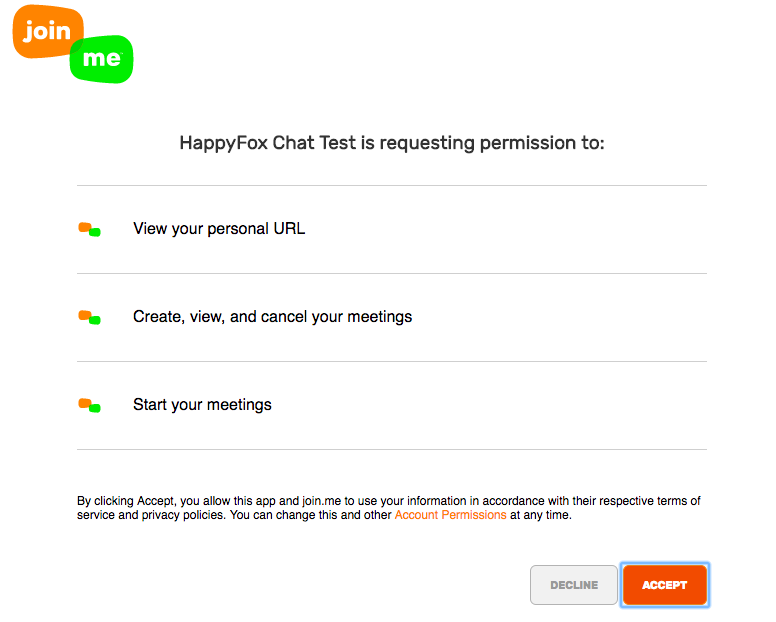 You will be prompted to grant permission for HappyFox Chat to access join.me account. 5. Once you click Accept, a connection between HappyFox Chat and join.me will be established. 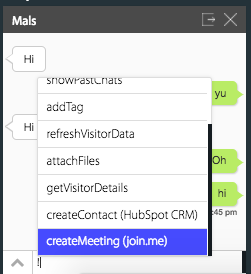 How to create the join.me meeting and send the invite to the end user? Enter the command "!createMeeting (Join.me)" in the chat area. 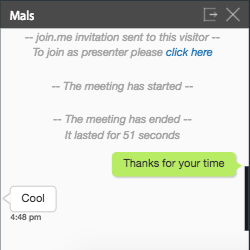 The app will create a meeting invite and a message for the same will be shown on the chat window. After the creating the meeting, the details will be sent to the customer automatically. 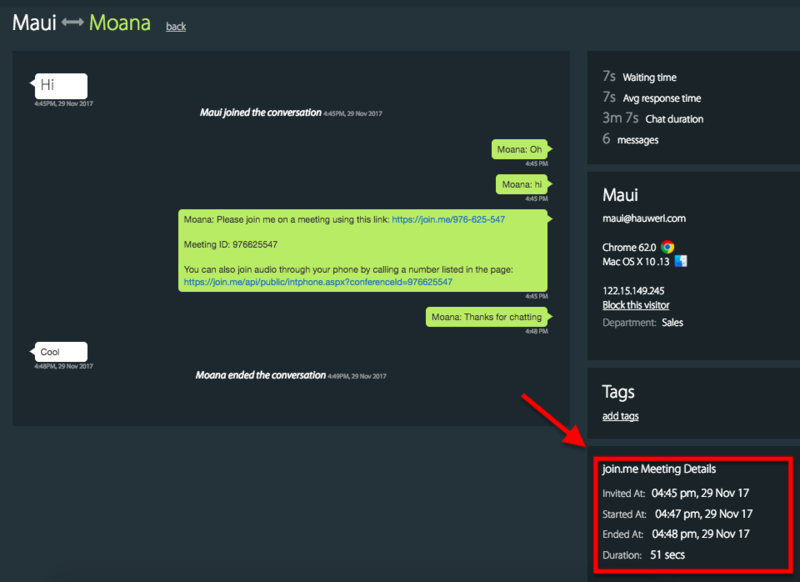 If the chat is active through this meeting, all meeting-related details will be recorded in the chat window as well as in the chat transcript. Note: Only when the visitor joins the meeting, the app will consider that the meeting has started. The meeting details will also be shown on the History > Chat Transcript. Note : If chat ends before the meeting ends, the meeting details will not be captured/displayed on the chat window or on the transcript.